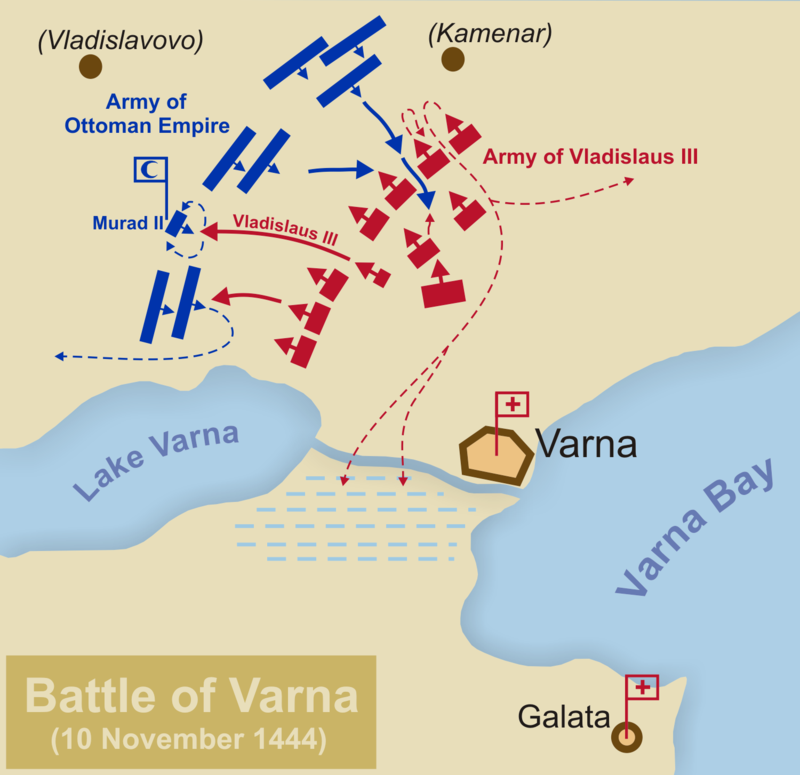 The Battle of Varna took place on this day in 1444 near Varna in eastern Bulgaria. The Ottoman Army under Sultan Murad II defeated the Hungarian-Polish and Wallachian armies commanded by Władysław III of Poland (also King of Hungary), John Hunyadi (acting as commander of the combined Christian forces) and Mircea II of Wallachia. It was the final battle of the Crusade of Varna. Consequently, the Ottoman victory at Varna, followed by the Ottoman victory in the Second Battle of Kosovo in 1448, deterred the European states from sending any substantial military assistance to the Byzantines during the Ottoman conquest of Constantinople in 1453.